Welcome to the Smart Future Cities Conference site. This conference is a collaboration between The Tom Farrell Institute for the Environment, NSW Office of Environment and Heritage and The City of Newcastle. 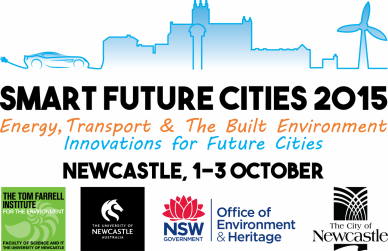 A Waste to Energy Workshop will be held prior to the Smart Future Cities conference on Wednesday 30th September, at Newcastle City Hall.